It wouldn’t be Indonesia without another new bizarre and surprising law from the government drawing anger from those that may be affected. In an attempt to consolidate all the technology oriented laws, the government is drafting a convergence law (Rancangan Undang Undang Konvergensi Telematika in Bahasa Indonesia) that will unify laws governing technology businesses, covering all aspects of ‘telematics’. What is this thing called ‘telematics’, you ask. The draft defines telematics as the combination of technology and the value chain of the provision of telecommunication services, information technology, internet protocol based broadcasting, and content. It also defines telematics applications as any kind of application which uses the internet to transmit voice, images, data, content based services, e-commerce, as well as other services provided through applications. So, pretty broad. One of the points in the draft declares that every telematics provider is required to submit payment based on a percentage of revenue which is separate from existing taxes. Another point states that providers are required to obtain permission from the Minister (of communication and information) for each application released. 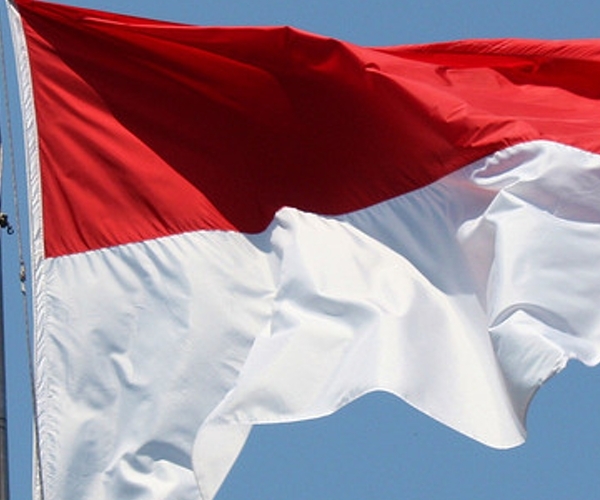 This follows the massive explosion of companies in Indonesia’s technology and internet sector. Many are seeing this as the government’s attempt to cash in on an industry that it hasn’t really added value to. This proposed law is similar in nature to the highly objected film law that was passed late last year which requires filmmakers to submit their scripts, titles, and synopsis to the Tourism Ministry for review before a ministerial permission to begin production can be obtained. In an interview with us, Kemal Arsjad, Managing Director of Better-B, a mobile software development house based in Jakarta, vehemently rejects the proposal claiming it’s akin to extortion. According to Arsjad the discussion stage, where industry players will be invited to discuss the proposed draft with legislators, is no longer relevant as he and his peers were never invited for such a discussion prior to the submission of the proposed law. Rather than collecting from Indonesia’s burgeoning tech industry, he says the government should instead provide infrastructure from its own budget to support the companies in the information technology sector. Boy Avianto, an Indonesian web developer, programmer, researcher and interface consultant based in New York isn’t so surprised at this latest move by the government. He was involved in the discussion with the Ministry of Communication and Information of the prior cabinet regarding the government’s decision to block YouTube due to a number of videos deemed offensive to Muslims. It’s Avianto’s opinion that the government tends to watch an industry grow and flourish by itself before taking it over and imposing previously unheard of rules and requirements. Ministry spokesman Gatot Dewa Broto defended the proposed law in public statements, claiming it is there to ensure the laws aren’t going to be left behind once the industry takes off. It has yet been passed and may still be stricken off the list, although seeing the ministry’s recent moves, it’s unlikely to back down. In July, news of this law emerged again after it was first mentioned several months earlier. Back then the legislation was touted as one that would provide a blanket regulation to manage media organisations that operate in various forms of media including print, TV, radio, and internet. Currently, the existing laws deal with each medium separately, which could be a problem if there’s a case involving multiple media. But now, entrepreneurs have been responding to the law’s payment clause, which previously had gone unnoticed. Game developer Kukuh Wicaksono is dreading the day that any application, web or otherwise, will require some sort of official government permit before it can be made available. He questions the nature of this bill as it demands plenty from industry players yet promises nothing in return. He also likens the bill to a protection racket due to focusing on revenue collection and little else. APJII, the country’s association of internet service providers, will be submitting its formal opposition to the proposed law claiming it’s unworkable as there are countless applications released on a regular basis. Read next: Brazil's nuts about social networking and Orkut best watch out, Facebook is on the rise.